Wind Turbine Gearbox and Direct Drive Systems Global Market Size, Company Share, Gearbox Refurbishments and Key Country Analysis to 2020 is the latest report from industry analysis specialists GlobalData that offers comprehensive information and understanding of the wind turbine gearbox industry. The report provides clear understanding of the wind turbine drive systems market including gearbox and direct drive market. It provides deep insight into the key drivers and challenges impacting the market and also provides data regarding historic and forecast growth. The report covers information on units installed and market share of manufacturers for gearbox and direct drive market. The report also provides information on average price, market size and refurbishment of gearbox market for global and key countries such as the US, Canada, Germany, Spain, Italy, France, the UK, China and India. The report is built using data and information sourced from proprietary databases, primary and secondary research, and in-house analysis by GlobalDatas Team of industry experts. Data on market size, units installed and average price of the wind turbine gearbox market from 20062020 for global and key countries. 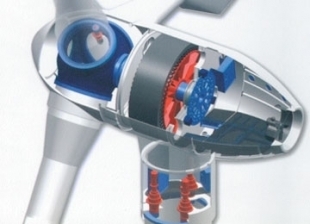 Global Wind Turbine Gearbox and Direct Drive Systems Market Share of the Manufacturers. Technology Analysis and Drivers and Restraints Impacting the Global Wind Turbine Drive Systems Market. Data on market size, units installed, average price, segmentation by turbine size, refurbishment market for key countries like the US, Canada, Germany, Spain, Italy, France, the UK, China and India. Facilitate decision making based on strong historic and forecast data for the wind turbine drive systems market. Position yourself to maximize potential in the growth of gearbox and direct drive systems market. Respond to your competitors business structure, strategy and prospects.